Spring is here and both the lunar and solar Indian new year’s days are right around the corner. I shared Ugadi (Kannada New Year) special panagam (dry ginger powder and jaggery relish) and spiced buttermilk previously and now it’s time for the dessert. 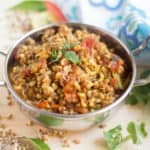 Any festival is incomplete without a sweet and when you are preparing a feast, including one or two simple recipes makes the preparation process easy. This three-ingredient kheer is one such recipe. 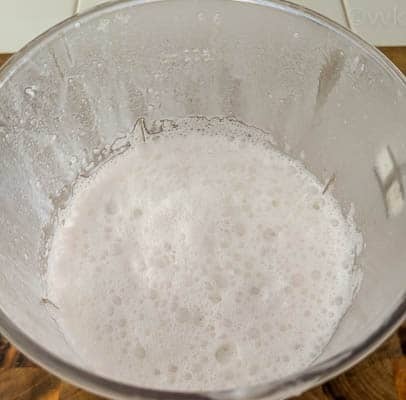 I learned this recipe from my friend R, and I can’t thank her enough for this recipe. All you need to do is blend the coconut milk, coconut water, and the sweetened condensed milk. That’s all. I have tried different variations with the base recipe, and we love all. 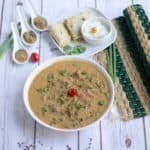 You can make this kheer not only during the festival time but also for parties, potlucks, and get-togethers. It’s a crowd pleaser recipe, and it’s hard to say no to this delicious glass of kheer. I kept the recipe simple today. Instead of nuts and cardamom, I included saffron. I like the subtle flavor of saffron in this kheer. But you can add chopped nuts like walnuts, pistachios, almonds, cashews or cardamom or rose essence for additional flavor. I haven’t tried adding cloves and vanilla in this kheer, but you can definitely give it a try. 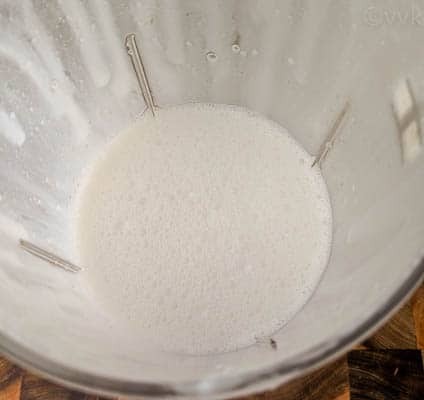 You can skip the condensed milk and add other sweeteners of your choice. Add some fruits or nut butter and convert this into a breakfast smoothie too. Unleash your creativity and whip up some delicious smoothies. 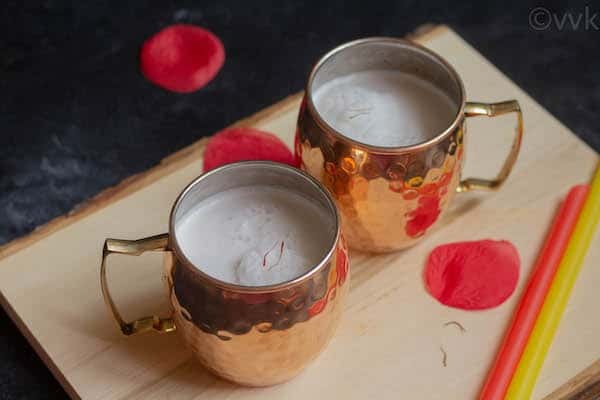 Before getting into the recipe, I want to share about the copper mugs in which I served this kheer. 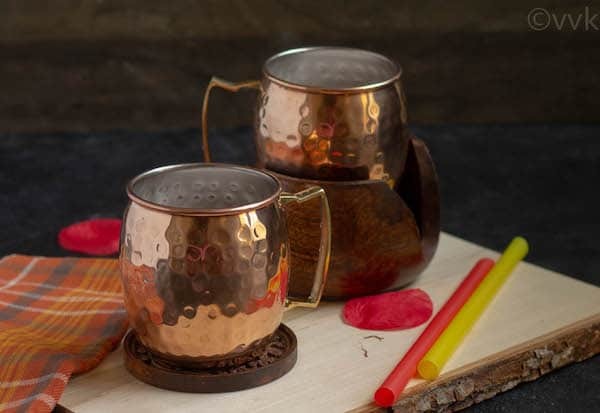 I would like to thanks Moscow Muled for sending these beautiful copper mugs. 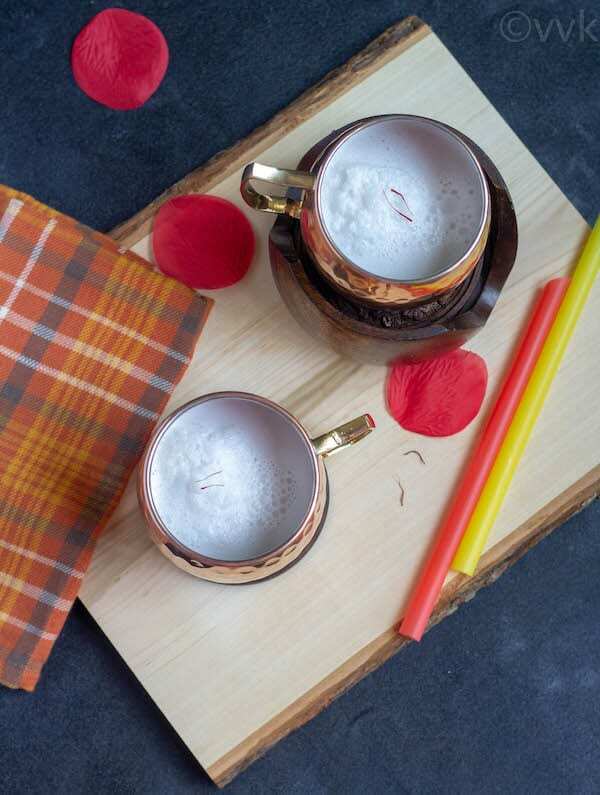 I love these beautiful mugs with a smooth rim, and all their mugs are handmade. Nothing can beat the handmade artisan creations. It’s light-weight but huge. 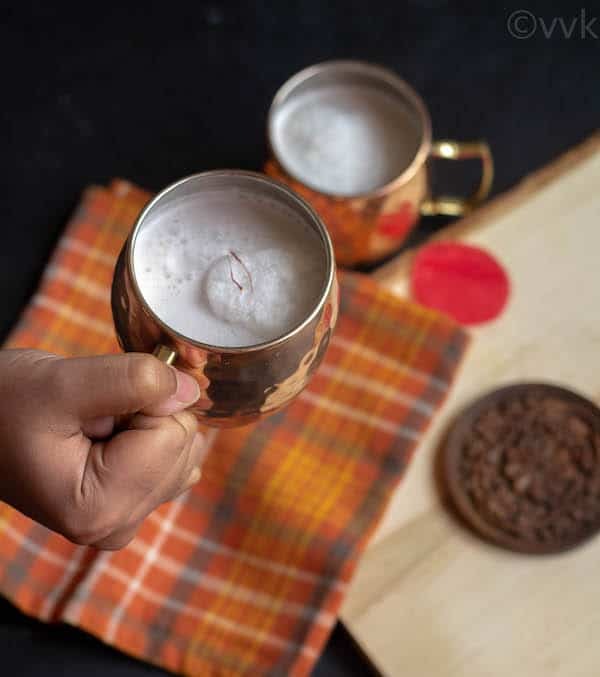 Each copper mug holds 16oz, and this generous size makes it perfect for serving cold drinks with ice. The smooth rim and that golden handle. The elegant design makes it a great kitchen decor as well. The nickel coating inside the copper mug. We all know copper reacts with acidic solutions and even with chemicals in the water. The high-grade nickel coating prevents those reactions, and now I can serve lemonade or tamarindo (recipe coming soon) in my copper mugs. You can read more about the nickel-coating in their FAQ section. Last but not least, the price. The price of a single mug is $12.50. 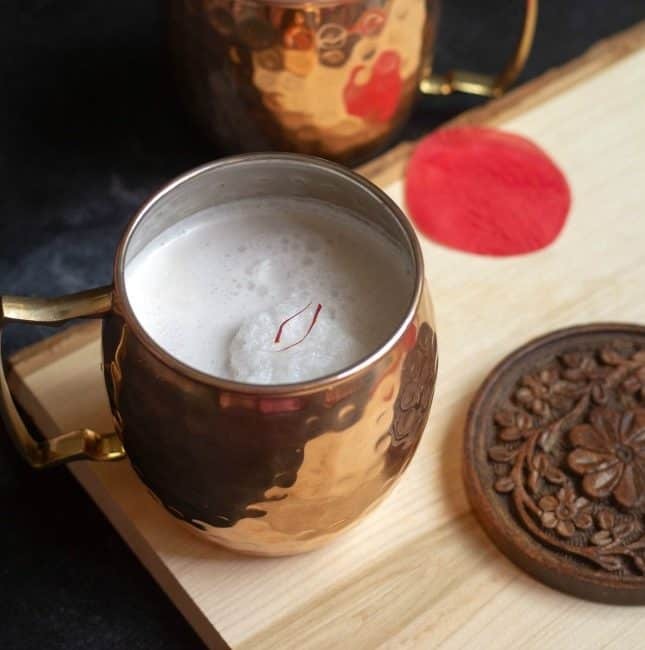 This copper-mug inevitably falls under the budget-friendly gift ideas. Ok, now without any further ado, here is the elaneer (Tamil word for coconut water) payasam. Soak the saffron strand in warm water for 5 minutes. 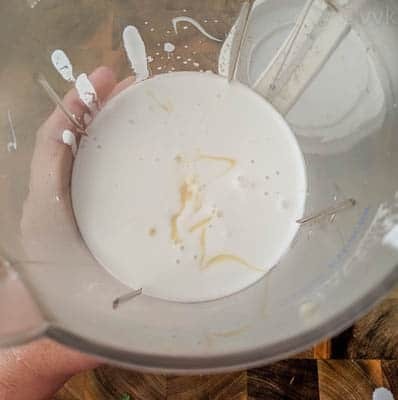 Blend until the sweet condensed milk is well combined. Now add the coconut water and mix it. No need to blend it again. Add the soaked saffron (including the water) and refrigerate. Garnish it with the remaining saffron strands. Serve cold. Adjust the sweet according to our preference. You can make it vegan by using coconut sugar or other vegan sugar instead of condensed milk. Instead of saffron strands, you can enhance the flavor with one or two cardamom pods or by adding 1 to 2 drops of rose essence. You can make it healthy by adding nuts, chia seeds, etc. PS: If you try this elaneer payasam recipe, please don’t forget to comment and rate this recipe. Also, please check out my videos and do subscribe to my YouTube channel. 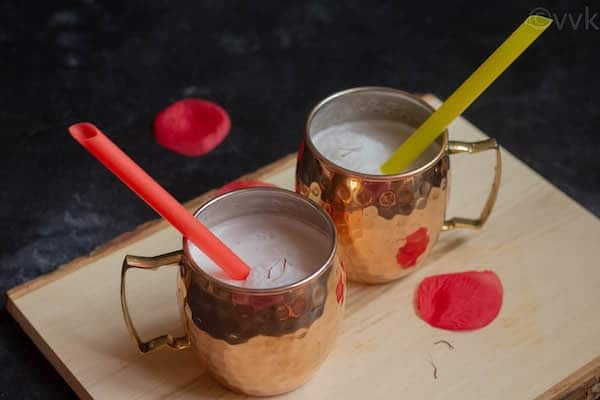 An easy dessert with just three ingredients for those sweet tooth cravings - a no-cook kheer or payasam or dessert-smoothie recipe with coconut milk, coconut water, and sweetened condensed milk. 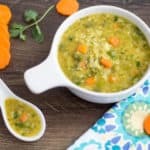 Update Notes: This recipe was originally posted in 2015 but now updated with new photos and fresh content. 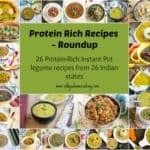 Submitting this post for Blogging Marathon #98 under the theme “Cook for any Festival or Special day” – A 3-day marathon for four weeks. Check out the other participants’ details here. My favorite elaneer payasam. Easy one to make.. love your mugs. So attractive.. Such an easy breezy recipe for payasam. Perfect for this scorching heat. Will try this for daughter. Thanks Gayathri. Please do try and let me know how she liked it. 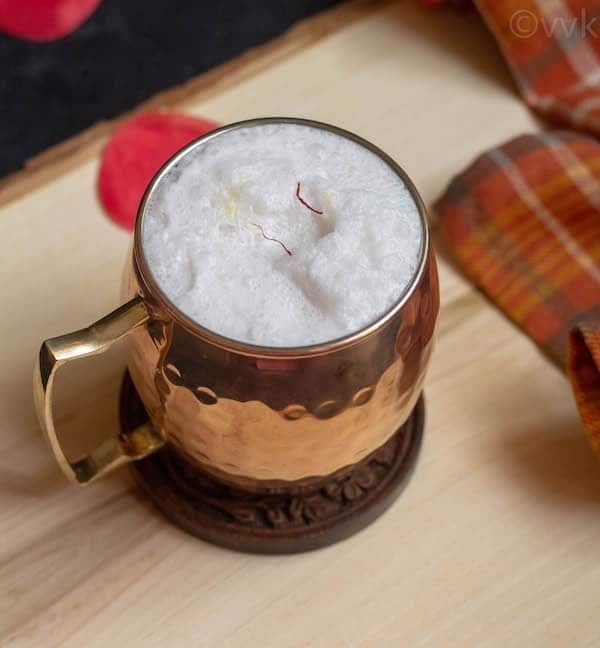 This is such an easy breezy payasam for sure. This would be a perfect treat for this summer. Will try this out for daughter. OMG! this kheer sounds so simple and yet delicious. Loving it. Thanks Rafeeda. These mugs are getting very popular here. When a dessert is so easy to make, there is only one thing to do. Bookmarking it and I will try it soon :-). :-) :-) Thanks. I am sure you will like it. Lovely no cook kheer , this goes straight to my bookmarks ! I am a kheer lover and haven’t tried a coconut one .